“During the period from 2010 to 2017, a series of experimental studies were carried out aboard the Russian Orbital Segment of the International Space Station with the Coulomb Crystal experimental device. 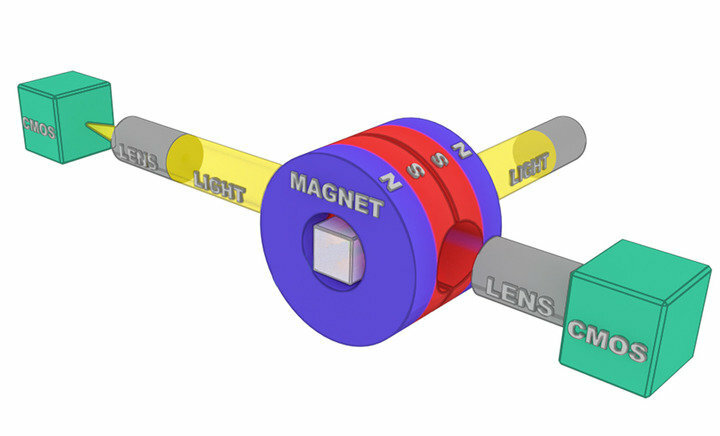 The main element of the device is an electromagnet that creates a special inhomogeneous magnetic field in which the structures of the diamagnetic particles (they are magnetized against the direction of the magnetic field) can be formed in the microgravity conditions,” says co-author Mikhail Vasiliev, head of laboratory of dusty plasma diagnostics in JIHT RAS. “The results of the Coulomb crystal experiment on the study of the formation of the spatially ordered structures led to the development of a new method for the formative 3-D biofactory of the tissue-like structures based on the programmable self-assembly of the living tissues and organs under the conditions of gravity and microgravity by means of an inhomogeneous magnetic field,” said the author.